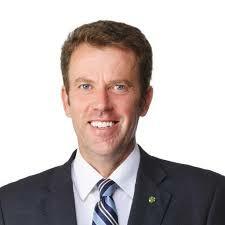 The Honourable Dan Tehan, formerly Minister for Veterans’ Affairs, Minister for Defence Personnel, and Minister Assisting the Prime Minister for the Centenary of Anzac, and for Cyber Security, has been promoted to the job of Minister for Social Services and becomes a member of Cabinet. This was part of the ministerial reshuffle announced today. PM’s media release. PM’s press conference. Mr McCormack also says he looks forward in 2018 to ‘a lot of special events locally, across the nation and around the world’. Travel well, Minister – and congratulations. The new Minister also faces a decision on the Directorship of the Australian War Memorial (unless Minister Tehan clears that one before he leaves). Honest History preferred Dan Tehan as Centenary of Anzac minister over his immediate predecessors, Stuart Robert (didn’t stay long but while there lacked the discipline to avoid playing silly buggers with critics on Twitter) and Michael Ronaldson (weirdly bloodthirsty regarding the need for children to anticipate a future defending their country – and stubbornly unable to take friendly advice that he had his decimal point in the wrong place). Minister Tehan got unnecessarily hot under the collar regarding the Vietnamese attitude to the 50th anniversary of the Battle of Long Tan. On the other hand, he has seemed a little uncomfortable about his inherited role as minister for the grandiose Monash museum in Villers Bretonneux. Wearing his Veterans’ Affairs and Defence Personnel hats, he has done good work on veterans’ mental health and employment. 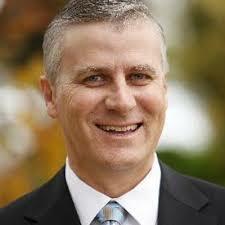 (The Prime Minister complimented him on his work in Veterans’ Affairs.) We wish him well.